Kazakhstan has relaxed the immigration process for intracompany transfers, including: •	eliminating the requirement for diplomas and work experience for specific job titles to match; and •	allowing host employers to choose their own hiring and training methods for local employees instead of following authorities' standard requirements. Kazakhstan has relaxed certain rules for intracompany transferees (ICTs) applying for work permits. Below is a summary of the changes. Relaxed job qualification criteria. ICTs may now apply for job titles for which they do not hold a related degree. Those who do so must have their home and host employer submit official letters confirming that their qualifications and professional experience are suitable for the position. Background. The Kazakhstani state labor authorities classify job titles for which ICTs are eligible. Part of this classification used to be a requirement that the ICT's degree be in a field related to the job title. To prove this, ICTs would have to submit the diploma with their application. Impact. Foreign nationals can now work in positions for which they may not have been able to apply if they did not hold a related degree. Some regional authorities, however, may not follow this change in law and may still request an apostilled/legalized diploma with ICTs' work permit applications. Relaxed options for hiring and training. Host employers may now decide how to hire and train local staff from a range of set options. Formerly, authorities could unilaterally impose requirements on employers to train local staff. Impact. The ability for employers to choose their hiring and training methods may reduce costs and administrative burdens in the work permit process. 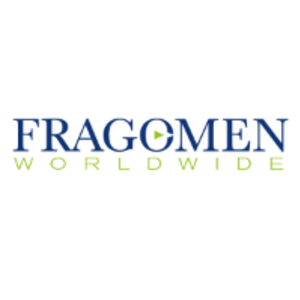 Affected employers and foreign nationals should contact their Fragomen professional to discuss the specific impacts of these changes on their workforce.